Former two-division world champion Carl “The Jackal” Frampton and Frank Warren’s Queensberry Promotions have signed a multi-fight promotional pact with Top Rank in what is the latest collaboration between Top Rank, MTK Global and Queensberry Promotions. 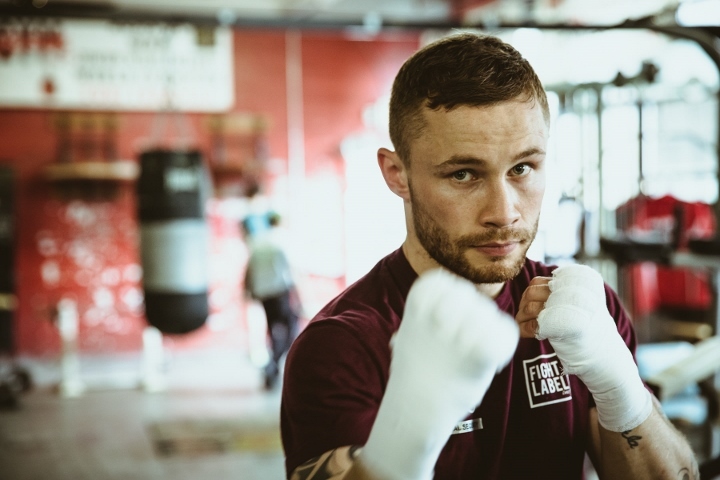 Frampton, who will campaign as a featherweight, will bring one of the biggest names in one of boxing’s deepest divisions to ESPN platforms in the United States. Top Rank, MTK Global, and Queensberry Promotions will announce Frampton’s next fight shortly. Frampton (26-2, 15 KOs) is a 10-year pro who has fought a who’s who of this past generation’s greatest fighters at 122 and 126 pounds. He won the IBF junior featherweight world title over Kiko Martinez in September 2014, defended that belt twice, and then unified with a well-earned split decision victory over Scott Quigg on Feb. 27, 2016. In his next fight, he moved up to featherweight and took Leo Santa Cruz’s unbeaten record away via majority decision. He lost a tightly contested bout to Santa Cruz in the immediate rematch and then reeled off three consecutive wins until his last bout, a unanimous decision defeat to IBF featherweight champion Warrington in one of the best action fights of 2018. [QUOTE=ELHITMAN606;19593245]Frampton is washed[/QUOTE] Agreed - I think he’s been on his way out since the LSC loss. The Warrington fight won’t have helped at all either. Valdez+Warrington won't have long primes, a shame Bob wants marination before making it. If I'm wrong and this move is about Frampton facing Stevenson then will be happy to be wrong as that's a great fight.